Historical center of istanbul Sultanahmet, near to the Kucuk Ayasofya Mosque, Grand Bazaar, St Sophia , Topkapi place and Blue Mosque walking distance.Emirhan inn is a First Class Apartment pension - Turkey. Situated in a quiet location in the old city centre Sultanahmet, it is the perfect starting place to discover Istanbul's history-former Constantinople. Hostel on the Way in Sofia Bulgaria is a small and trendy hostel in Sofia. We're located at the Bolismen Park in the southern part of the city. We're offering style, convenience and character and adjoining a quiet and charming Sofia garden square, Hostel on the Way is situated in an ideal location for its guests, only a few minutes walk from public transport. 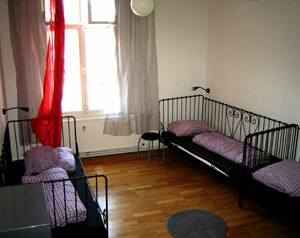 Our recently opened, secure, clean and comfortable hostel welcomes you to stay during your visit to St. Petersburg. Prime location! Directly in the city centre! Easy reach to main tourist attractions! The Admiralty, the St. Isaak Cathedral, the Hermitage, the Mariinsky Theater, the Yusoupov Palace and many more great places are just a short walk from the house. Quality apartments and hotels in the center of Barcelona, the Costa Brava and the Costa Dorada for the best on-line rates. Port Aventura Tickets, Free of charge City Guide and fast and secure booking.